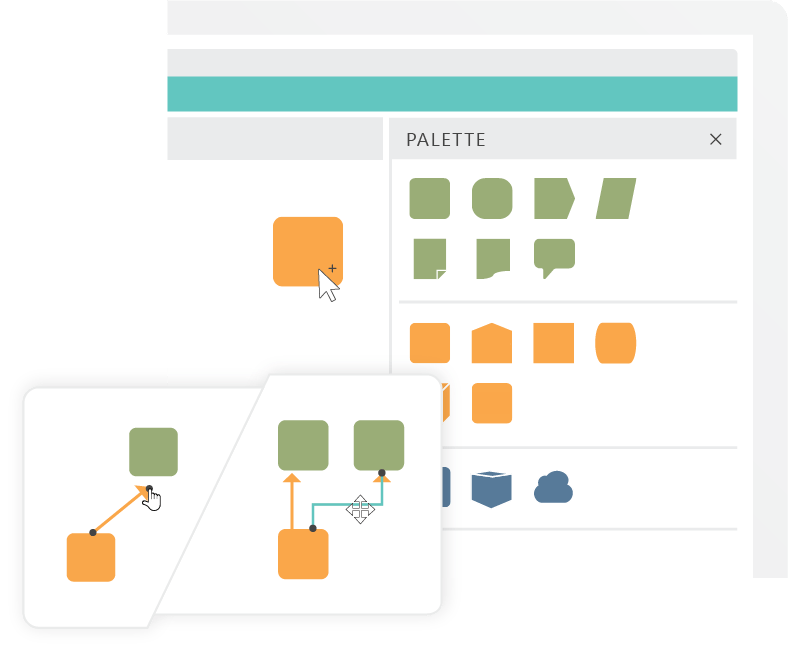 Using just four descriptors – Information, Action, Systems and People – LINQ can be used to describe how your business works, in any domain, at any level of detail, in a way that everyone can understand. 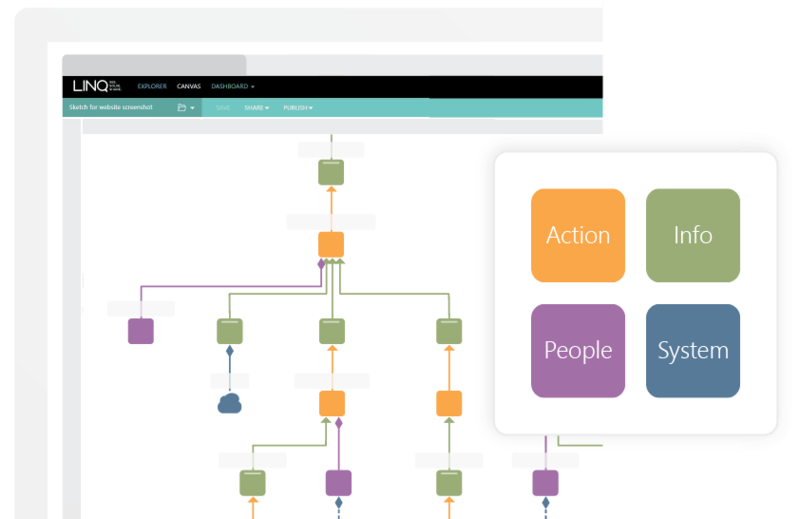 LINQ’s ease of use means you don’t need specialist skills to start modelling your business. Current state capture can be up to 10x faster than with legacy drawing tools, and maintaining your current state is a breeze. 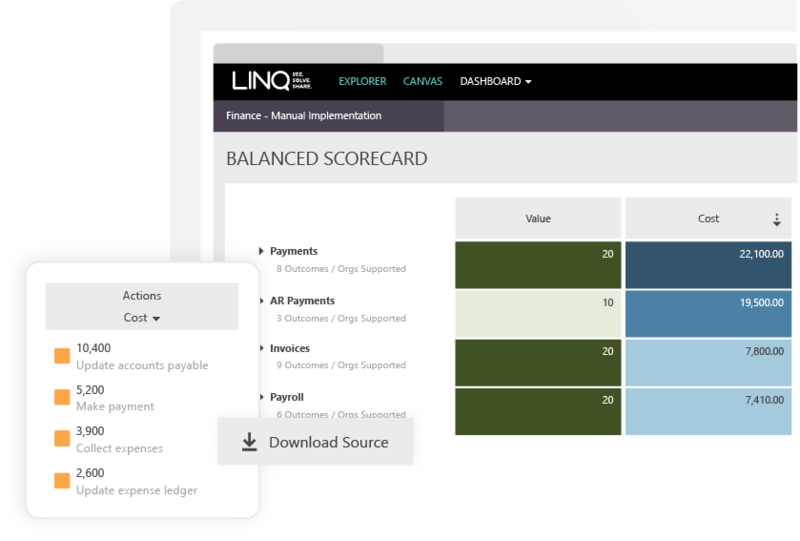 LINQ highlights people, technology, processes and information that may have traditionally been undervalued. 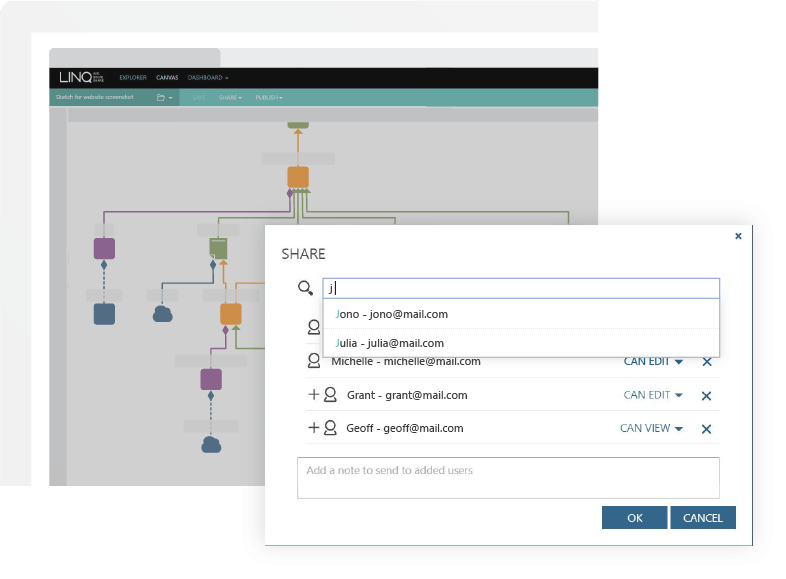 By aligning your assets to your business outcomes, LINQ’s unique value cascading feature makes the true value of your business clear. 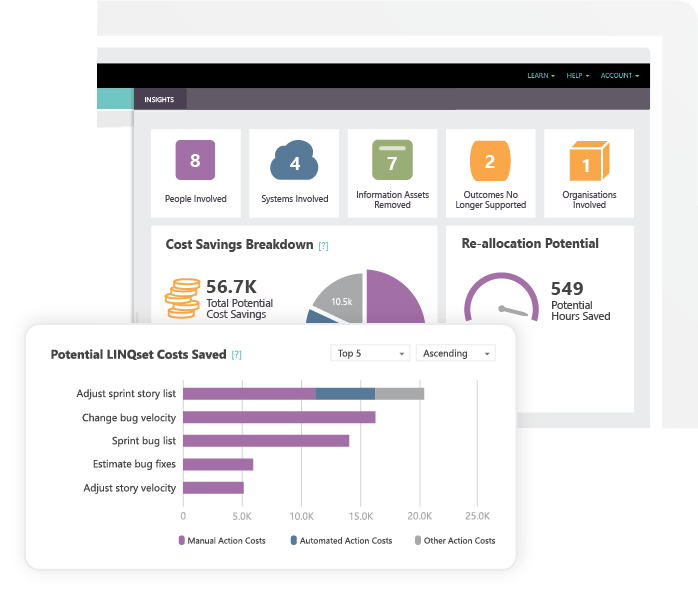 Predict and quantify the tangible benefits of transformation by using LINQ’s time and cost savings modelling tool to pinpoint the parts of your organisation that would benefit from change. 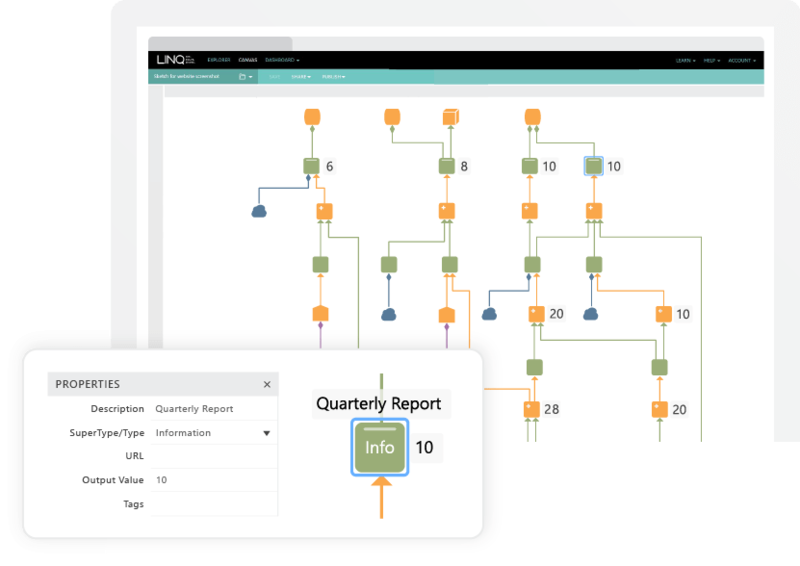 LINQs Instand Insights make it easy to analyse the spread of cost and value across your business. See the costs associated with delivering a specific business outcomes and understand the return on investment of your current and future processes. 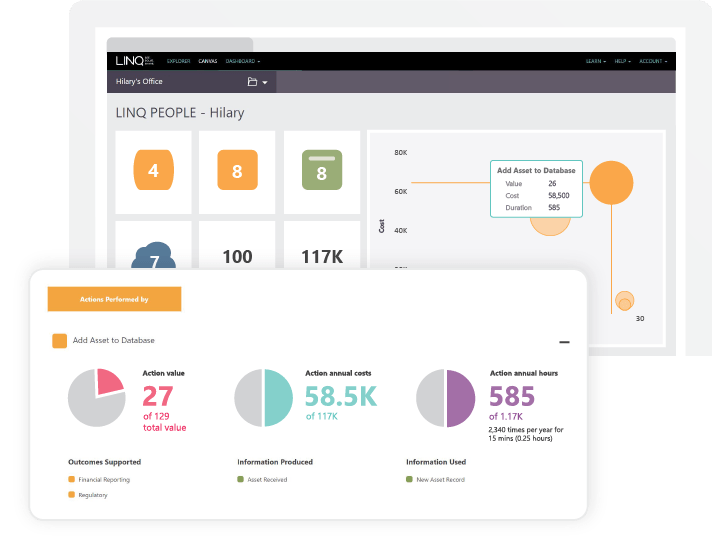 By pivoting around the people your organisation relies on, LINQ’s people centric dashboard describes an individual’s role, impact, training requirements and resilience. Discuss opportunities with LINQ’s sharing and publishing features. Reduce the time it takes to get your whole team on the same page. Start a conversation with our team today.